I had an ah-ha moment a week or two ago. I’m not so much organized as goal oriented. It only takes a look into some of our drawers, closets, and cupboards to realize that organization is not of the highest importance to me. It isn’t that I’m disorganized exactly-it’s that there are people out there who are much more organized than I. Who thrive on organizing. Clutter-free is important. Clear counters is important. Picked up toys is important. Spending precious time keeping t-shirts lined up just so or labeling my refrigerator shelves is so not on my important radar. If the drawer shuts, I call it an organizational success. 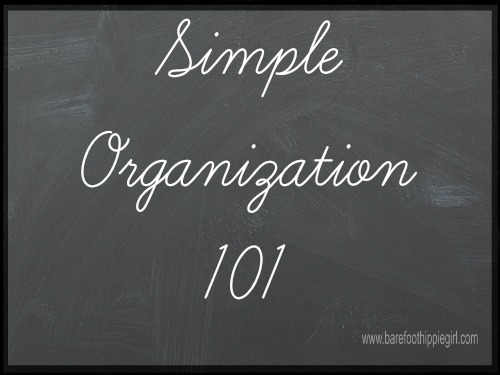 For me, I need an organizational system that is low maintenance. I don’t want to spend tons of time planning a system, nor keeping it up. I don’t want elaborate, I want simple. My system needs to be fairly no-brainer. -Purging. Seriously, I love to purge. It is freeing. Plus there is the opportunity to bless someone else with my random junk. I am clearing out clothes that don’t fit or are worn out. I am getting rid of equipment we no longer use. -Make a school room for the first time ever. I am still going to be having 2 of my kids in the dining room this year, but our Friday school will be taking place downstairs. I am going to be setting up my flags, globe, maps, and all that kind of stuff to the basement. I have more room down there, and it is time with our new Unit Study approach to make a designated area. I also am purchasing a corner hutch for my dining room in the next few weeks. It will serve the joint purposes of a beautiful dining room piece, a place to hold my favorite knick-knacks and dishes, and a hidden place for our regular school books and supplies. -Created a syllabus for school for the first time ever. Yes. I have never done this before, but I already have my unit studies for the year mostly planned out. Weekly or monthly I am going to have to do some home work for science and history, but the main planning is already done. Wow! That is uber organized in my book. -Keep records not papers, and file in respective filing drawers according to business and school. For tax purposes, I need to keep 5 years of records. For school, I don’t need to keep every paper, I just need to record what we have done. -Utilize the Cozi app. After hearing about this multiple times from various friends, I decided to download it and check it out. It has a calendar and a grocery list section, plus tabs for to-do lists and journaling. I can’t wait to explore and see how I can optimize it. 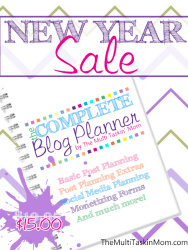 I think it will be helpful for scheduling blog posts, individual and family events, and my husband’s jobs. In conjunction with this, within the next week or so, I will put all of our school year weekly activities, with times, into the calendar. Then I will know what is on our plate, and what I need to schedule around. And if there is room to add more or not. 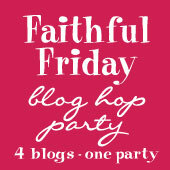 Just stopping in from Fellowship Friday at Christian Mommy Blogger. Thanks for sharing your no fuss tips. I am always looking for new ideas! I like using baskets from the dollar store to organize in my refrigerator and pantry. Jessica Stevenson recently posted..Meet Jessica and her family! I love new ideas too! I couldn’t believe everything all the girls came up with this month for organization! Thanks for stoppin by! Blessings! Thanks for hosting! I’m new to the party, so looking forward to looking around! I’m so glad to have you! If you have any questions please don’t hesitate to ask! Blessings! Stopping over from Intentionally Yours by way of Friday Friday link up! Love this post…our best organizing time is when we’re getting ready to move! Why is that? I’m praying for my husband to catch the minimalist bug with me so we can get rid of everything. Thanks so much for sharing!! I do love moving for that reason! LOL! As a Navy Brat I’m used to moving every 4 yrs or so and purging that way. I’ve now been in this home for 8 yrs, so I have learned that purging must be done in other ways now! I find that it is a bit harder! Thank you for stoppin by and chatting! Blessings! I love organization, but it’s always good to know when to stop, you know? Earlier tonight I was reorganizing a hall closet and it was after 9 and I was thinking “I need to stop before I get so wound up that I won’t be able to sleep.” Lol! 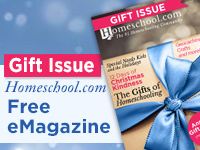 I live in WA and so I did not need to keep any homeschooling records, although I did keep a record of what curriculum I used each year – just for me. The kids kept their school books in a plastic bin under their beds for many years, lol! Then we moved them to shelves in a hall closet. LOL! I hear you completely! It’s so easy to just purge until you’ve exhausted yourself! I find it very hard to go to sleep when I’m wound up as well. I have my kiddos school books in a tote under my bed too LOL! Thank you for stoppin by and linking up! Blessings!